You’re thinking of bringing in the new year with a new water filter for your home but you’re a bit overwhelmed by the sheer number of choices you have? Buying a water filter may not be as easy as you may think, especially that there are a lot of things to consider before making a final decision. Don’t worry, once you read this water filter guide, you will know exactly how to decide on a water filter, which water filtration system is best for you, and what type of filter you should get. We’ll also discuss the benefits of installing a water filter and some of our tips for water filter maintenance that will ensure that your filter system is always operating at peak performance. Why are Water Filters So Important? The primary purpose of filtering water is to eliminate harmful substances and chemical disinfectants from water. But that’s not the only reason why they’re an important addition to a home. They can even help improve the quality of the water you shower with. By installing a water purification system for your home, you won’t need to rely on bottled water anymore. This will reduce costs and add a lot more convenience to your life. How to Decide Which Filter You Need? Deciding on a water filter is no small feat. Should you buy a portable water filter or a plumbed-in one? If you decide on a plumbed in one, should it be an undersink, countertop or whole house filter? Plus, which filtration method is most suitable for you? Reverse osmosis, UV filtration, ceramic or activated carbon filtration? As you can see, there are many filter options and if it’s your first time researching filter systems, you may not know what to do with all that information. The first step before you invest in any filter system is getting your water tested. You can opt for our professional water testing services that will test your water for pathogens, heavy metals, chlorine, fluoride, and a host of other contaminants. Alternatively, you can opt for the services of a local lab or buy a home water testing kit to check various parameters yourself. Only a test can determine which water contaminants causing problems in your water supply and once you have this information, you can find a filter system that can help you purify your water. 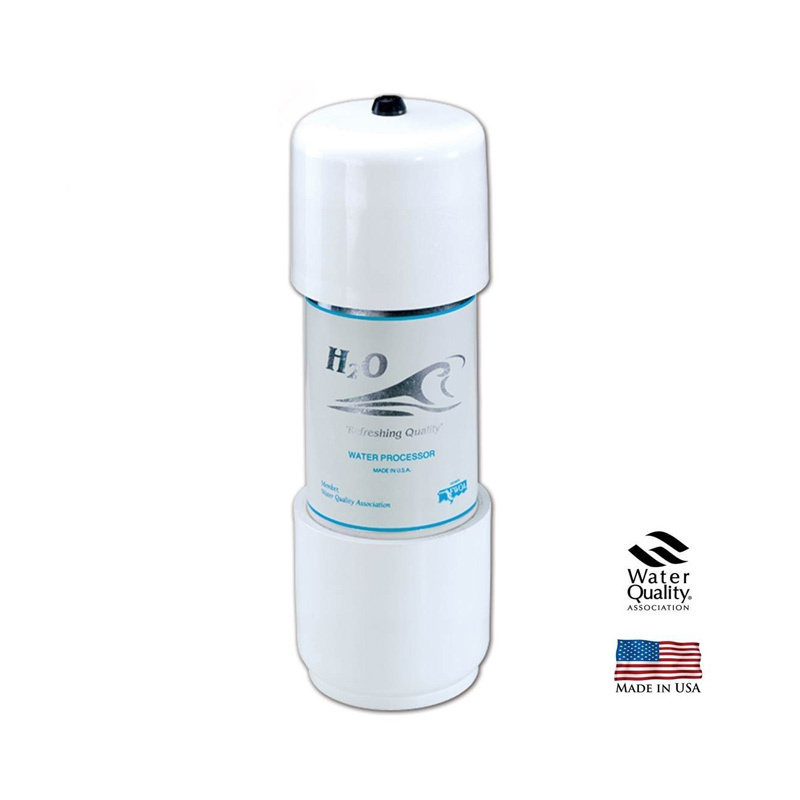 Point-of-entry (POE) filters, also known as whole house filters, are designed to filter your entire water supply. Their installation is a bit more difficult (plumbing skills required), however, they come with the undeniable advantage of providing filtered water for your entire home. Point-of-use (POU) filters provide filtered water only at a single water outlet (e.g. kitchen, shower, fridge, etc.) and many of these filters can be DIY installed. Both filters are great but serve different purposes. POU filters are designed for drinking water and cooking, or other kitchen-related activities. POE filters go beyond your drinking water needs and offer contaminant-free water everywhere in your home. The decision to get one over the other is usually a matter of personal preference but also of how contaminated your water source is. If you want filtered water in your kitchen and shower, you can install an under-sink filter and a separate shower filter or kill two birds with one stone and install a whole house system. Probably the most thorough filtration method, reverse osmosis filters use a membrane, which can remove a host of water pollutants. But the membrane is not the only “wheel at work” in this system; all reverse osmosis units feature carbon filters and sediment filters as well. That’s because for all its advantages in removing viruses, bacteria, fluoride, heavy metals and more, the reverse osmosis membrane is not adequate for sediment and chlorine removal. Therefore, reverse osmosis water filters are, by design, multi-stage systems that combine the filtration power of a multitude of filter media. These filters are recommended for point-of-use filtration in most medium to large households. If you want to know more about how these filters work and whether they have any disadvantages, we encourage you to read one of our previous articles on the advantages and disadvantages of reverse osmosis filters. 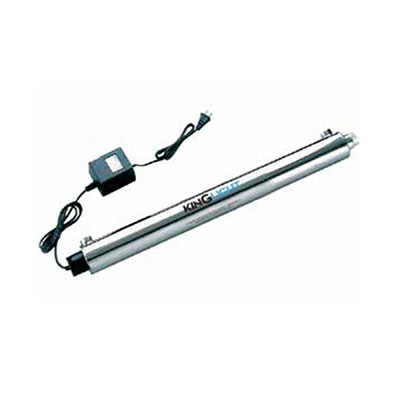 Ultraviolet water purifiers are excellent when it comes to treating private well water or water sourced from streams or lakes. The strength of UV purifiers is also one of their disadvantages — UV purifiers can only target microbiological issues. What this essentially means is that they kill off viruses, cysts, bacteria and other pathogens. Therefore, UV purifiers should be used together with another filter that will remove other contaminants that UV light cannot. That said, all uv filters require a sediment pre-filter to remove suspended solids from water. Sediments can shield bacteria from the reach of uv lights, undermining the water treatment process. As opposed to disinfecting water with chlorine, UV water sanitisers are completely safe both for your health and the environment. UV filters are low-maintenance, they’re affordable, reliable, and suitable for point-of-entry filtration. Activated carbon is a natural filter media usually created from coconut shell, which is a sustainable and efficient way to remove chlorine, VOCs, taste and odour problems from water. Carbon filters may be used on their own in various chlorine filters, but also as a complementary filter media in other systems like reverse osmosis filters, ceramics filters or multi-stage systems. They also come in two types carbon block and granular with different applications (granular carbon is preferred in shower filters or fridge filters, while block filters are mostly used in undersink systems). Ceramic filters are also a natural way to filter water and they’re used in whole house filtration, shower filters, undersink filters, and even portable filters. They’re usually combined with activated carbon to remove even more contaminants that any individual ceramic filter can. Ceramic filters can remove viruses, cysts, and other bacteria. As their name suggests, sediment filters remove suspended solids, particles, rust flakes, sand and other particles from your water. They’re indispensable in UV filter systems, reverse osmosis systems, and in households, where water high in sediments is a problem. 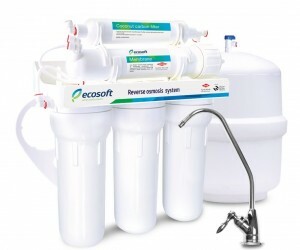 Think about the size of the water filter and the place of installation. Does the filter fit there nicely, leaving you room for filter replacement and installation? Beyond servicing consideration, size also matters when it comes to filter performance. A multi-stage filter offers better contaminant removal, while smaller filters may offer better flow rates. Another important thing to consider is installation. Is the filter easy to install in your home? Do you need to make any special adjustments to install the filter? Can you do it yourself or should you call a specialist? Maintenance of water filters is an important thing for the proper functioning of the filter. Consider how often filters must be changed, whether cartridges are easy to replace, and whether there are any other servicing requirements you should know about. Which Filter is Best for You? Ultimately the water filter that’s best for you is the one that can remove or at least significantly reduce the number of contaminants in your tap water. Once you find the filter systems that’s capable of that, you can start thinking about other aspects like convenience, cost of upkeep and ease of maintenance. 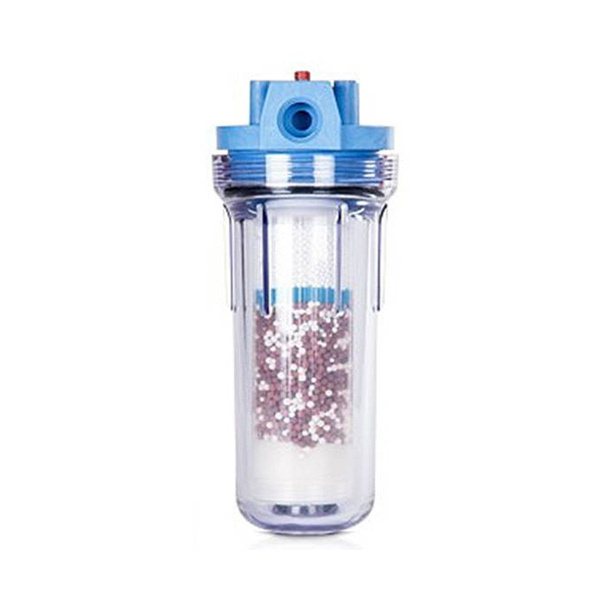 If you live in a small household, we usually don’t encourage you to get a whole house filter as your drinking water needs can easily be met by a point-of-use filter. Larger homes with multiple bathrooms and an above average water consumption would be better served by a whole house system. Regardless of the type of water filter you end up installing in your home, one thing is certain – replacing filter cartridges at the end of their service life is the single most important thing when it comes to filter maintenance. Therefore, it’s best to set a reminder when to replace filters, always stock up on replacement cartridges, and never use filters beyond their service life. In some instances, filters must be replaced long before the end of their service life when there are changes in the quality of your tap water and filters become too saturated with contaminants or clogged with sediments. When this happens, you’ll notice signs like drops in flow rates, changes in the taste, appearance and odour of your filtered water. For more tips on water filter maintenance, we encourage you to read our guide on Water Filter Maintenance Best Practices. Correctly assessing your filtration needs is the key to finding the best filter system for you. If you’re not sure which filter you need, make sure to ask the advice of a specialist. Some filters may require professional installation and maintenance, others are extremely user-friendly. The important thing is to find a filter that fits your filtration requirements.